AleaSoft was awarded the contract following an international call for tenders. February 21, 2011.- The operator of the Norwegian national grid, Statnett, is to implement software for forecasting the demand for energy from AleaSoft, a developer of solutions for forecasting consumption and prices on energy markets. The software is to be installed in the Norwegian firm’s control centre, from which the country’s power consumption is monitored in real time. Electricity cannot be stored and must be produced at the time when it is consumed. Electrical operators like Statnett have to manage the balance between power consumption and generation in real time. Having reliable consumption forecasts is a key factor in managing this balance and helps to ensure maximum reliability of the electrical system. With this new contract, which it won in competition with other European companies, AleaSoft takes another major step forward in its international strategy and breaks into the difficult northern European market for the first time. 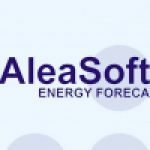 At European level, AleaSoft has reinforced its position as a supplier of forecasting systems to electrical transmission system operators (TSOs) including REE (Spain), Terna (Italy) and FEDA (Andorra), which are already AleaSoft customers in this segment. In the case of Statnett, AleaSoft will be implementing the AleaShort software solution, which makes it possible to obtain short-term electrical demand forecasts automatically. This solution, which was chosen by Statnett on the basis of the quality demonstrated in product trials, is to be used to forecast power consumption in Norway at national and regional level.